There is no doubt that Adderall helps concentration for those with or without ADHD – but that benefit comes at the expense of every organ in the body, including the brain. 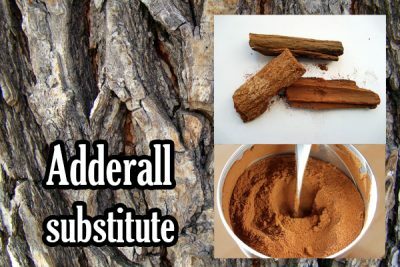 While Aderrall has become commonplace to help people focus and be more productive, there is a laundry list of side effects that are also quite commonplace with this popular drug. The common side effects of the drug include nervousness, dry mouth, poor circulation, numbness in fingers, difficulty breathing, stomach pains, loss of appetite, and heart problems. Rare side effects include fever, seizure, stroke and heart attack, as well as long-term use damage of brain cells. According to a HealthLine.com article from 2014, 6.4 million American children between the ages of 4 and 17 have been diagnosed with attention deficit hyperactivity disorder (ADHD). The conventional treatment costs $14,576 per person, and $42.5 billion in the United Sates annually. Adderall, one of the most well-known drugs used for ADHD, has also been widely misused by teenagers and college students (20-30% of all students). It is also extremely addictive. There is a natural substitute to this side-effect ridden, over-prescribed drug, however. Would you give it a try if you knew that it could help save your health and help you focus at the same time? Multiple studies across Europe have shown that Pycnogenol, derived from French maritime pine bark, is a natural option to relieve the symptoms associated with ADHD, and to increase concentration in general. A 2006 study from European Child & Adolescence Psychiatry found that children taking Pycnogenol for one month had a substantial decrease in hyperactivity and an improved concentration and attention. Children taking placebo had no changes. A different 2006 study from Redox Report: Communications in Free Radical Research stated that one of the non-genetic causes of ADHD is theorized to be oxidative stress. Because Pycnogenol is also a powerful antioxidant, its use acts as a chelation agent. Children with ADHD often have an oxidative imbalance. After one month of Pycnogenol, children in the study had normalized total antioxidant status again. A 2002 report from International Journal of Clinical Pharmacology and Therapeutics analyzed multiple peer reviewed studies of Pycnogenol, including published literature from Germany and France. What they found was Pycnogenol’s ability to guard against oxidative stress and to improve cognitive function. Besides relief for ADHD symptoms, it can aid in treating multiple other issues. The report concluded that there is a lot of evidence that Pycnogenol works, and the scientists are working on longer clinical studies for further research. There are a lot of companies making Pycnogenol supplements, most labeled as being for antioxidant related use. Because it is not an FDA approved treatment in the United States yet, you are not likely to see a product branded as an ADHD supplement. Supplements such as this one by Natrol seems to have the most positive reviews on Amazon.com. 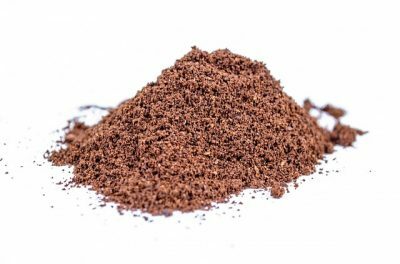 Navigating through the reviews, it seems like actual pine bark powder (though from a different type of pine tree) is a cheaper option, and might actually work even better. A few people have commented on BulkSupplements that they felt a real improvement in their mental performance, noticed an increase of energy and better focus, and experienced less anxiety and improvement sleep quality.